Music technology downloads, news, articles, reviews, tips and tutorials for home recording and professional musicians. Over 20,000 readers can't be wrong! Get the most out of SONAR 5 with the definitive guidebook! SONAR 5 Power! picks up where the manual leaves off, teaching you how to dig deep into the program with step-by-step examples and exercises. From initially customizing SONAR 5 to creating and producing a surround sound mix, you'll learn everything you need to know to make your composing and recording sessions run more smoothly. Learn about MIDI and audio effects and how to use them in offline and real-time situations. Explore mixing music via software and discover how much control you can have when you're using an on-screen software mixer. Take a look at the advanced features of SONAR 5, including StudioWare, Sysx, and CAL. Wrap things up as you learn how to prepare your completed SONAR project and burn it to a CD. *** Includes FREE bonus SONAR 5 CSi LE Video Tutorial CD! Imagine your sitting in your personal studio space all alone and you're trying to get some really clean vocal tracks recorded. You can't record in the same room as your equipment because your PC (among other things) puts out too much noise. So you either have an isolation booth that you built for this purpose or you simply set up your mic in another room or even a closet (someplace you can close the door to block out most noises). To record this way, you would need to run back and forth from your studio to the other space in order to start/stop and otherwise control your sequencing software. Not if you have a Tranzport! This device has been a godsend to many home and personal studio owners. It lets you wirelessly control your sequencing software from up to 30 feet away. Personally, I couldn't imagine recording without it now. I recently entered a voice-over contest (which I'll talk more about in a future issue) and did the recording using the Tranzport. I didn't have to touch the PC once while recording. I also use it all the time when recording keyboard performances because my keyboard isn't set up in front of my PC. So I simply place the Tranzport on top of the keyboard and record to my heart's content. 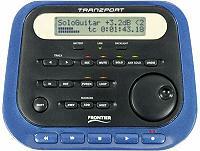 I even use the Tranzport when I'm in front of the PC because it provides a nice jog/shuttle wheel. As you can see, I love this thing and I should have a full review for you in the next issue of DigiFreq. In the meantime, we've got a nice surprise for you... we're giving one of these bad boys away for this issue! You can find more details below in this issue. At the bottom of that page you'll find the Active Users section. This section will tell you who is online browsing the forum. So now you can find out when you fellow DigiFreq members are online. But wait, there's more! This page will show you who is online and what part of the forum they are browsing. So now you can find your friends and join them in the same topic. Isn't that cool? DFreqDEALS - 10% off all Smart Loops and Groove Monkee Products! Groove Monkee Releases Rock Library for EZDrummer - Get 10% off! Shrapnel Games Wants To Make Your Band Famous! How much do you rely on music technology? Vegas Movie Studio + DVD usage? Using two different sound cards? What input devices are best for the buck? Firewire, USB or PCI Audio Interface? Congratulations to Adrian N, Robert W, and Larry A for winning the iZotope Spectron, Trash, Phatmatik PRO contest! (Winners are notified by e-mail). For the current contest, DigiFreq has teamed up with Frontier Design Group to give away a free Tranzport Wireless DAW Control Surface. One lucky winner will walk away with this great prize! Details can be found on the DigiFreq Contest page. These are a few things you should do to make your experience with visiting DigiFreq a productive, informative, and fun time! And finally, please keep spreading the word about DigiFreq! DigiFreq(TM) is provided for informational purposes only. Any damage resulting from the use of the information herein is the sole responsibility of the reader. 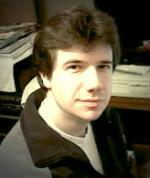 Copyright 2006 by Scott R. Garrigus. All Rights Reserved.